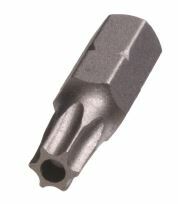 Using a “3/32” hex bit screwdriver, remove the two black screws from each end of the casing of the DigiSnap Pro. This will enable you to carefully pull apart the top and bottom of the DigiSnap Pro. You’ll see that inside the DigiSnap Pro there are two circuit boards. One is the controller board (Left) and one is the network board (Right). They must be orientated appropriately when putting back together so the pins will match. NOTE: It is important to not be forceful during reassembly in case you have it in an offset orientation as we don’t want to damage any of the circuitry. Next you will require a “T8” torque bit screwdriver to remove the three mount screws for the network board only, you won’t need to remove the controller board to install the WiFi antenna. Once the network board is removed from the DigiSnap Pro case, you’ll find that on the end of the bottom right part of the case there is a hole used to feed the WiFi antenna into the enclosure. Feed it through and fit it into the hole in the case. 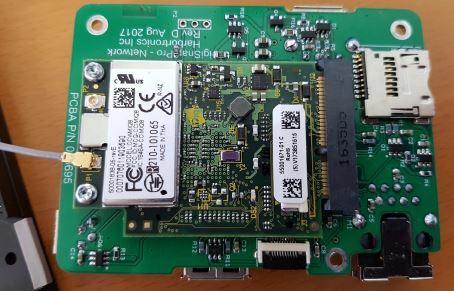 Next we need to establish the WiFi antenna's physical connection to the network board. 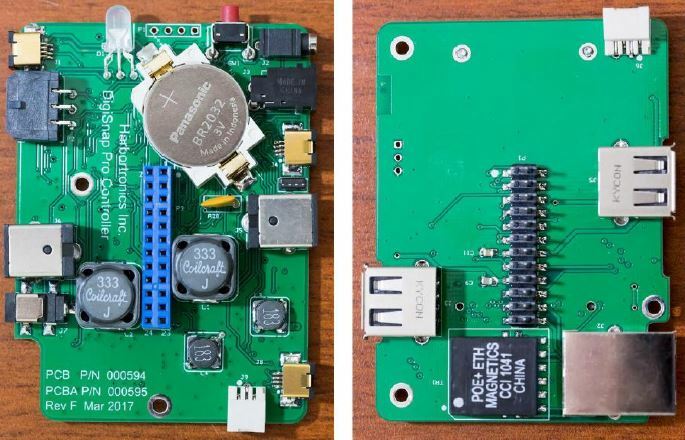 In the picture below, you see that the module attached to the network board has two ports in which the end of the WiFi antenna can connect to. These are for WiFi diversity, but only "P1" supports scanning and beaconing. 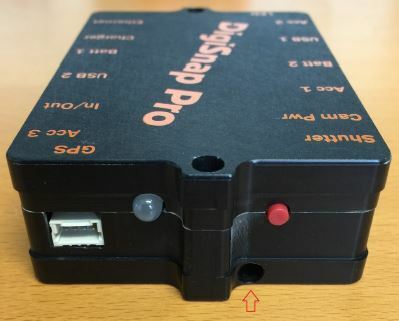 For this reason it is necessary to connect to "P1"
Once the antenna is connected and fed through the casing, you can re-fit the network board into the enclosure and re-mount it. Before reconnecting of the two halves of the DigiSnap Pro, take note of the small conductive seal strips that rest above and below the ethernet and two USB ports. We will want to make certain those are in place as we reconnect the device. Tighten the two black screws for the DigiSnap Pro casing and you’ve successfully installed the WiFi antenna.